Up for sale is a beautiful very rare late 1920s single ply Mahogany Leedy Professional in a stunning original fine gold sparkle finish. 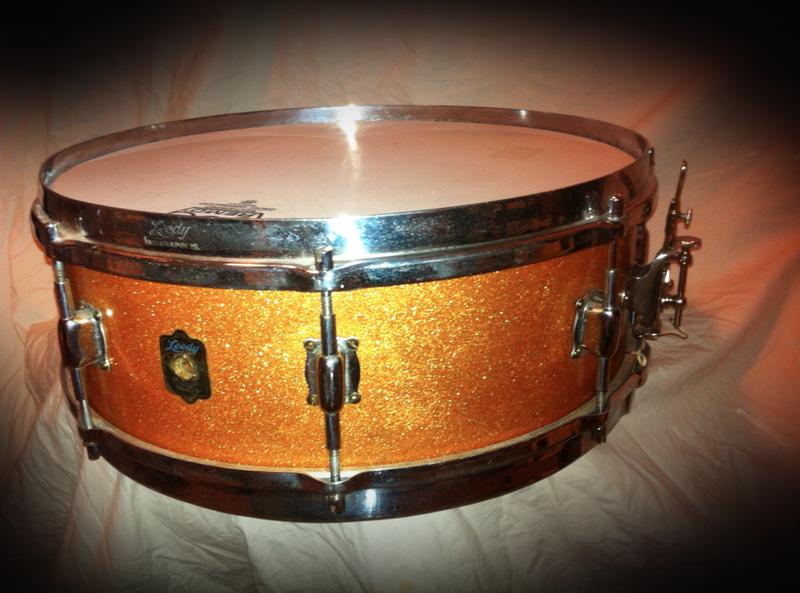 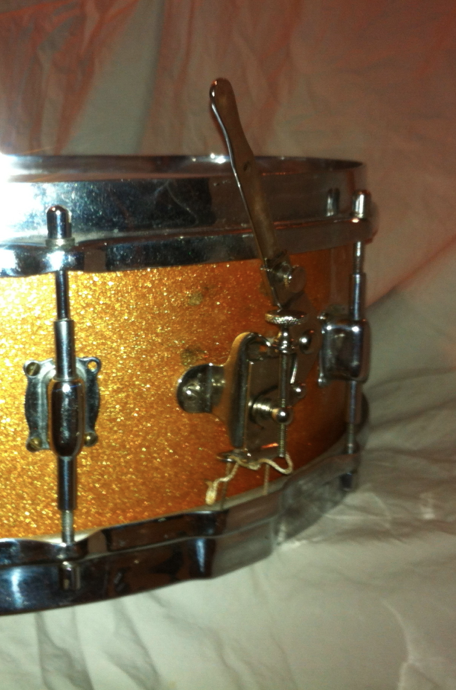 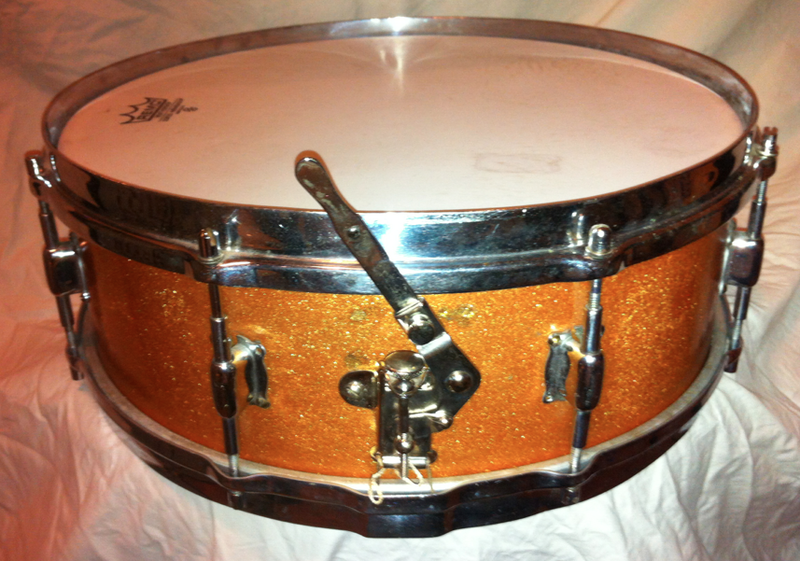 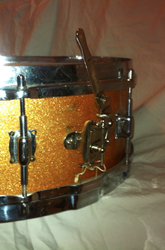 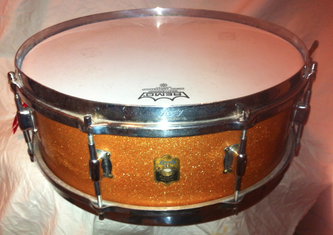 14" x 5" steam bent mahogany shell with reinforcement rings. 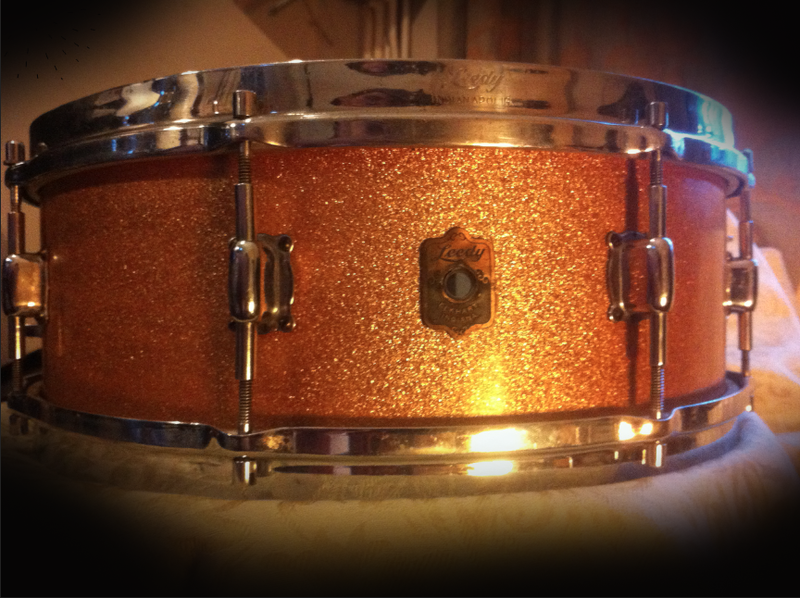 Leedy engraved stick chopper hoops, 2 point Presto strainer. In fantastic condition bar a couple of extra holes by the throw (hence the low price) which have been professionally plugged and touched up with gold glitter paint.